Pens and Pixels provides real estate, business, social media, and technical services. Our company was founded in 1998 as a part-time venture, which lasted until 2013 when we relocated from Seattle to Los Angeles. In November 2016 we decided to reboot as a full-time venture and rolled out a new site and services in January 2017. Behind every successful professional is someone who serves as their “right-hand” – an assistant, a cheerleader – that helps them stay on track. With the use 0f the latest technology, we aim to prove that your support can be located anywhere in the world. Outsource your time-consuming, stress-inducing, or just plain-old-boring tasks to us. Free up your time to instead focus on growing your business, spending time with your family, or even going to the gym for the kind of pain you would rather be suffering from. You may be thinking about hiring an offshore company in the Philippines or India to save money. In my opinion, you are still going to need to perform constant quality control double-checking everything coming back because the VA is not a native English speaker and isn’t steeped in the same culture as your client base. You really do get what you pay for. Save yourself the anxiety and extra work by hiring a native-born English speaker. Wendy has called California beach cities home for almost four years. 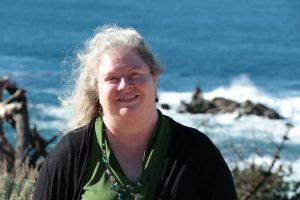 She moved to Southern California from Seattle in 2013, along with her husband, dog, and cat! My name is Wendy Hughes-Jelen. Pens and Pixels is a General Partnership between my husband, Stephen, and myself. I manage the day-to-day operations and will probably be the person you talk to most, depending on your specific needs. As a Virtual Business Manager, I provide down-to-earth remote business support. These services can be tailored specifically to you or your company’s highest priority needs. With over 25 years of experience in business administration, sales, and marketing in a wide variety of industry sectors, I have worked in both small and large companies, with individual executive directors to small teams, to entire Boards of Directors. Efficient and detail-oriented, I support my clients in any area of their business that could use my expertise. I have earned a reputation for my unique approach to business situations and providing creative outside-the-box solutions. A true team player, I can always be counted on to achieve results, offer solutions, and provide the follow-through that may be missing from your other business relationships. If you feel like there are never enough hours in the day, are sick of doing the monotonous part of your job, or if you are wondering how you are even going to take a vacation in the coming year, please get in touch with us. If you need help in an area that is not listed here, please do not hesitate to contact us and we will see how we can help, or connect you with someone who can. If you are in the Los Angeles / Orange County area, in-person consultations might be arranged. Please Contact Us for details.